Pre Steem fest Ned has been posting what seems to be random thoughts, but his last post in which he said "The Bridge is nearly set! ", makes me wonder if he has some kind of big announcement to make. Let's analyze his posts just for the funz. Happy and fortunate people breed happy and fortunate outcomes. Find and be with these people! With a picture of a Roman Goddess "Fortuna". 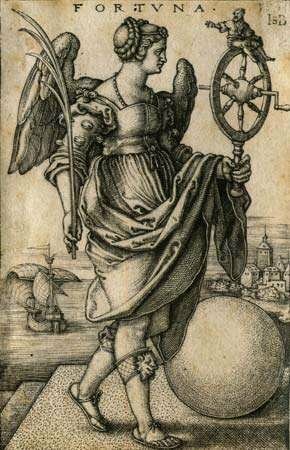 She is the goddess of fortune and faith. She can give you luck but also bad luck! Bionic Contracts. Definition: Trust and human enabled processes on top of cryptocurrency systems. Well functioning Bionic Contracts are the most massive missing piece in cryptocurrency adoption. Ok in this post he basically points out that blockchain are missing human elements. The Bridge is nearly set! Creative zones are key. This is one I can hardly wait to use. The bridge is nearly set, the way is almost paved! Something clearly is coming and he can't wait to use it. Some key words: happy, people, friends, luck, happiness, humans and blockchain, bridge. To me this all leads to SMTs! Why? SMTs could have everything he is hinting at. SMTs will allow people to create communities = more friends = happiness. SMTs could be programmable with the human element. It already allows people to decide where to whom rewards will go to, and maybe there are some smart contract options possible too! Lol, this actually made more sense than I thought it would be. What do you think Ned is talking about? Communities Hivemind is the Bridge to SMTs!? Ooo this is cool, thanks for sharing @futurethinker. 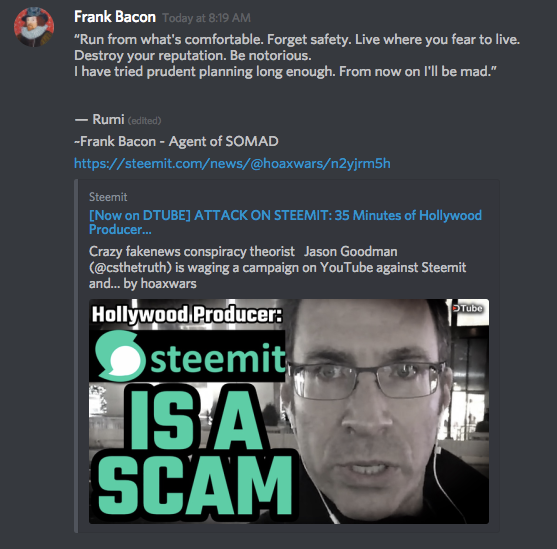 I'm not in the loop with anything that's really going on on Steem so forgive me if I completely miss the mark(s). It sounds like he's referring to the human/creative link to what decentralised tech, cryptocurrencies and blockchain (and really any technology) can really do. Smart-contracts & decentralised/distributed data systems CAN create trust between peers, and the more trust we have in our systems, the more we are able to create freely, because we don't have to worry about whether things are properly designed or not - "Creative zones are key," when our systems support our best/creative selves, all that's left to do is get in the creative zone and be; this point is largely why I got ridiculously/idealistically excited about decentralised tech when I learned about it a year ago. Hope you all have a grand time at Steemfest, I'll make it one day! At least if we all talk about it, Steem will be more active. That's good, right? Your UA account score is currently 4.592 which ranks you at #1732 across all Steem accounts. Your rank has improved 4 places in the last three days (old rank 1736). In our last Algorithmic Curation Round, consisting of 243 contributions, your post is ranked at #85.